Shell to 22 mm, trochiform, with depressed ("flattened") spire, smooth, about six whorls in fully grown specimens. Shell base smooth, with deep umbilicus. 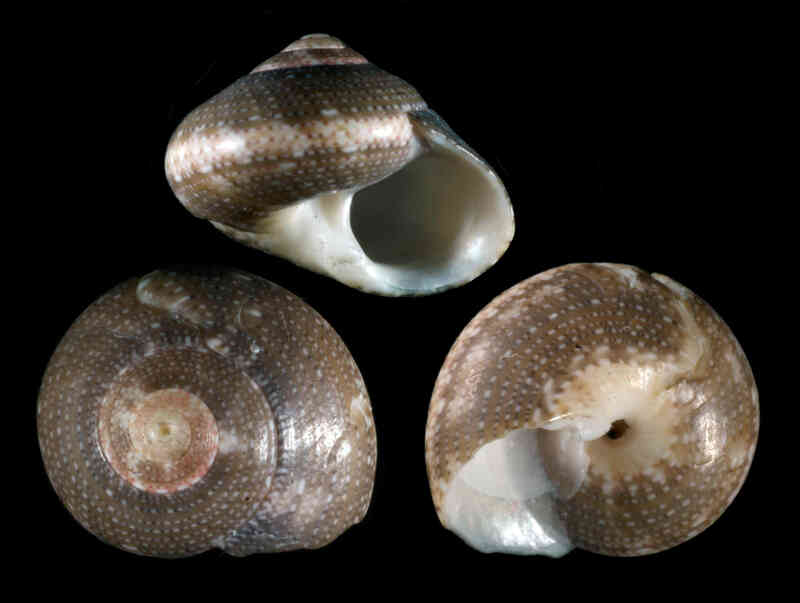 Aperture oblique in relation to shell axis, whitish inside. Outer lip with serrations inside ("crenulated"). Shell color extremely variable, with many combinations of mottled stripes, spots, lines, with alternating streaks of reds, browns, cream, bluish hues, and white. The shell illustrated, found in December 2015 by Susan J. Hewitt, on Blind Pass on Sanibel, is an immature specimen. The spire is taller in more mature specimens.